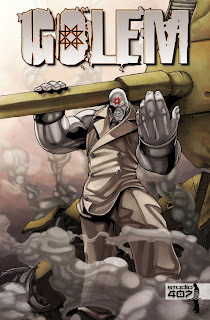 The Fellowship was fortunate enough to obtain a copy of GOLEM from Studio 407. Scott Barkman and Alex Leung write, and Mark Louie Vuycankiat draws. Sarajevo is in bad shape, but our hero Srdjan has an answer—an answer steeped in his occult studies. He builds a golem and brings it to life. But this golem is different from the mythical one; it has a mind of its own. It also has no doubt as to its mission—destroy evil wherever it resides, regardless of collateral damage. Srdjan’s new problem: how do you stop an unstoppable force? The golem of myth is very much a mindless creation, following the orders of its creator. This new golem is very much modernized in that sense; it not only has thoughts of its own, it also quickly abandons the idea of following Srdjan’s orders and it throws morality out the window. It’s a little overdone, but the effect actually works; the story shows us how easily power can corrupt, and how much restraint morals place on us. And it also gives us some epic fights, which is a ‘win’ in my book. This story is a highly modernized take on a very old tale, and it does a good job of making itself relevant. The art gives it an anime feel, which also works well. Very nicely done. 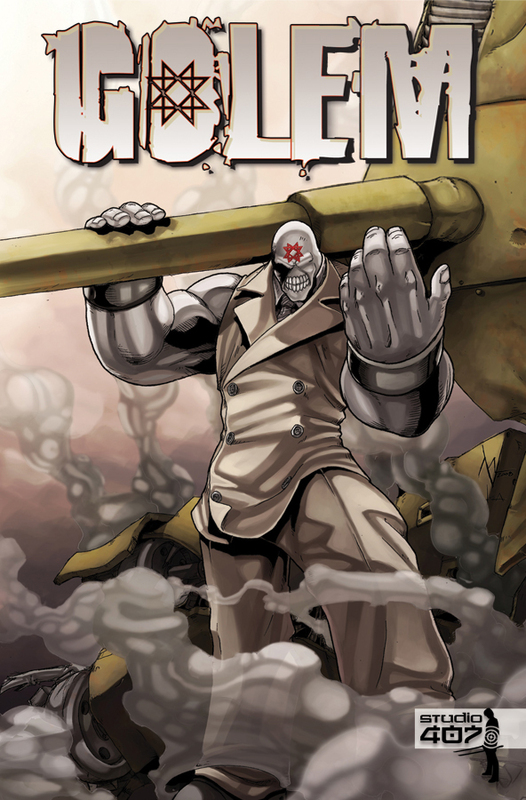 GOLEM trade paperback is available now at your FLCS or by order from studio-407.com.